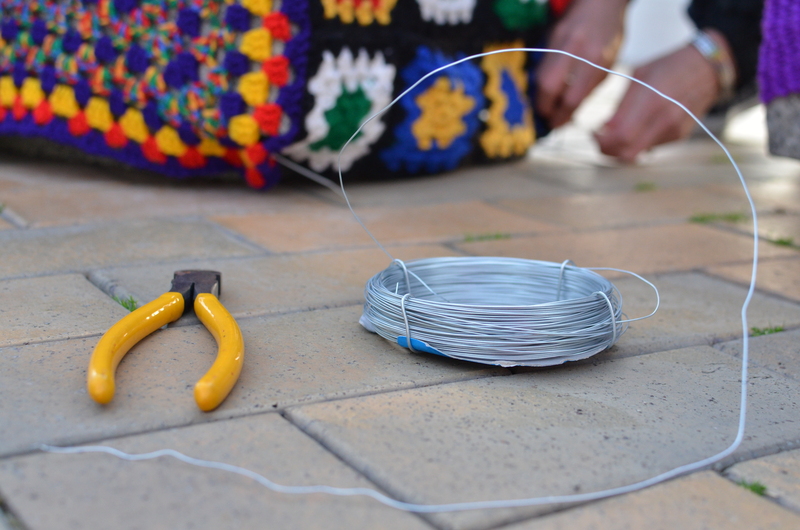 Yarn bombs installed by Ninja Knits for the opening of Tauranga Arts Festival which runs 24 October-3 November. 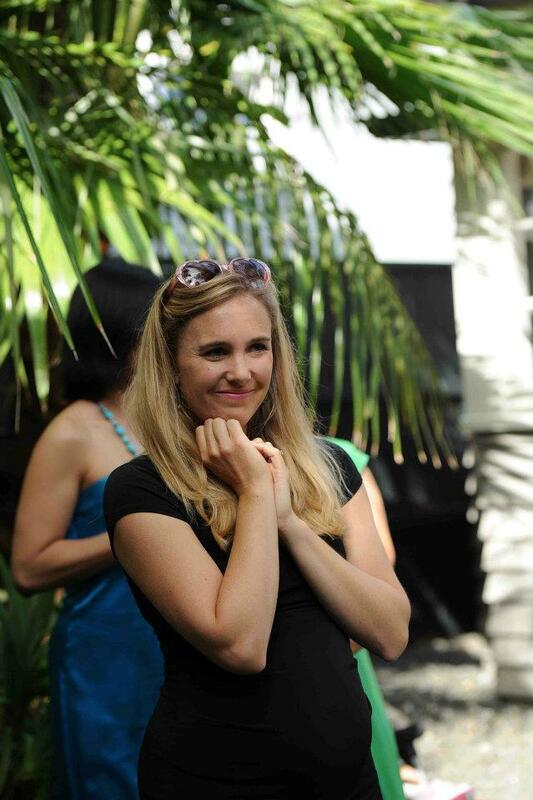 Come celebrate the Arts – Dance, Theatre, Music, Visual Art & Literature for all the family. 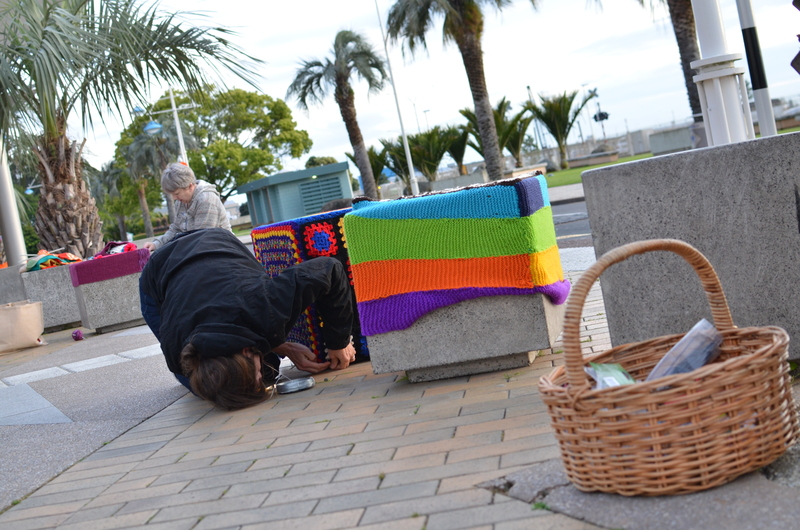 Feel free crafters to add to the collection of yarned cubes on The Strand Tauranga. The dimensions are 50cm x 50cm tops and 4 sides 50cm x 44.5cm. Four concrete cubes have been coloured and textured, there are ten sitting waiting for artistry. 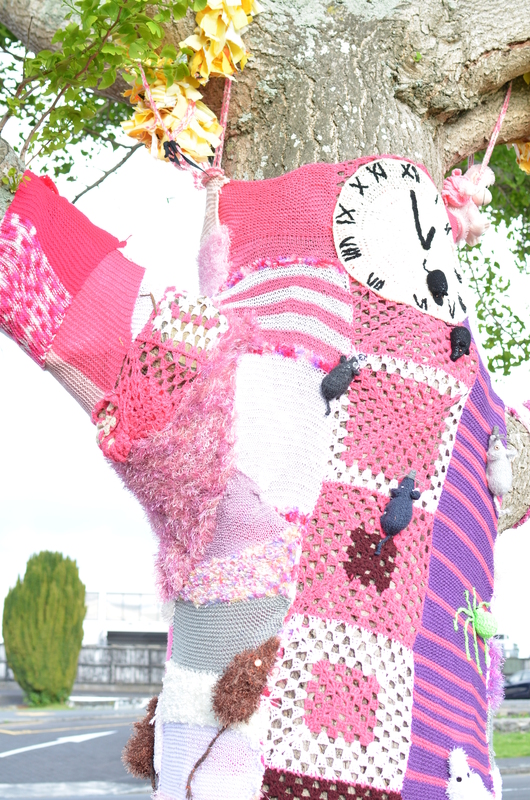 Beautiful job on the Strand yarn bombing! So eye catching. I took some photos this afternoon.